LET'S LEARN BY PLAYING is an European Project belonging to LIFELONG LEARNING PROGRAMME GRUNDTVIG. Combining Learning Acting and Playing S.L. (CLAP) is an educational theatre company. We teach foreign languages using drama as methodology. Our main activities are: storytelling and interactive shows in English language for all ages and levels, teacher training courses in our methodology, dynamic weekends in English for adults and drama workshops. We also offer English classes to parents with children in Bilingual Schools (Spanish-English) to help them to encourage their children in learning English and to give them self-confidence in helping their children with their homework. CLAP is based in Madrid but we work all over Spain. We also teach English and/or communicative skills and building team spirit and leadership to private companies through our dynamic weekends, also using drama as methodology. This BLOG is the product of the "LET'S LEARN BY PLAYING" (LLP) project which is developing as a Grundtvig European Project since September 2008 by the patners of six institutions belonging to six different countries. 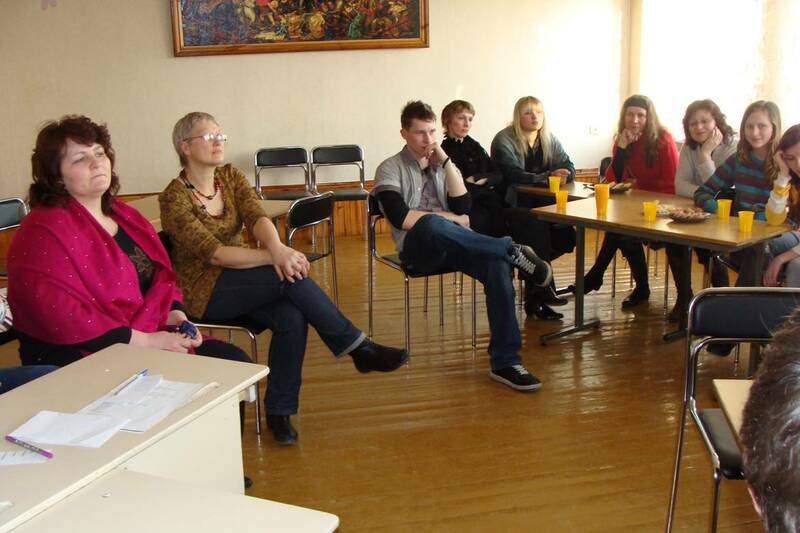 The project started at a first contact seminar held in Riga (Latvia). The main objective of the partnership is create a HANDBOOK or TEACHER MANUAL with drama activities and interactive games. Here you have the results of our work, the activities, games, and new approaches into Foreign languages teaching-learning. We hope these materials are useful for you and we encourage you to put some of the activities into practice with your students and feel free to send us your feed-back and suggestions. ITALY: Istituto Tecnico "Alessandro Volta"
Divide in groups of 3-4 players. Every group chooses four cards. Every member of a group goes into the centre and answers to the questions of the groups. Wins the group which guesses the word first.